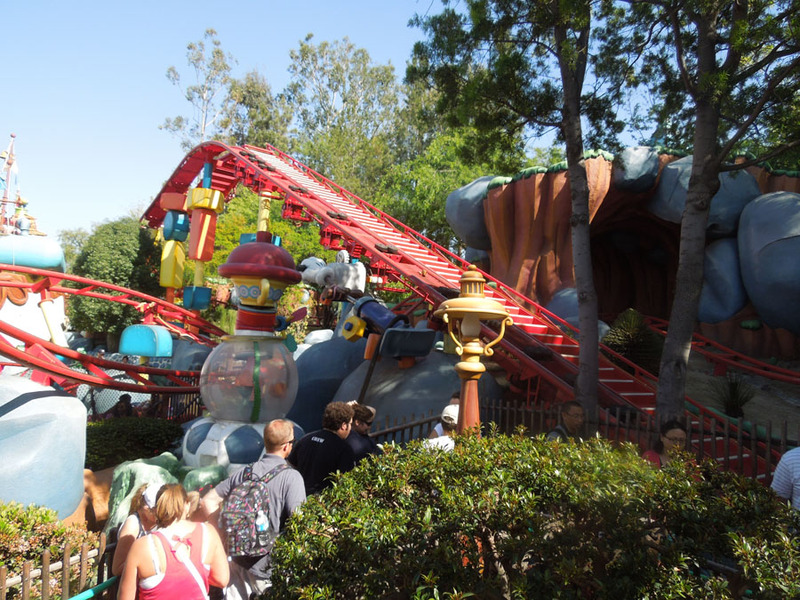 Gadget's Go Coaster is a junior-sized roller coaster in Toon Town. 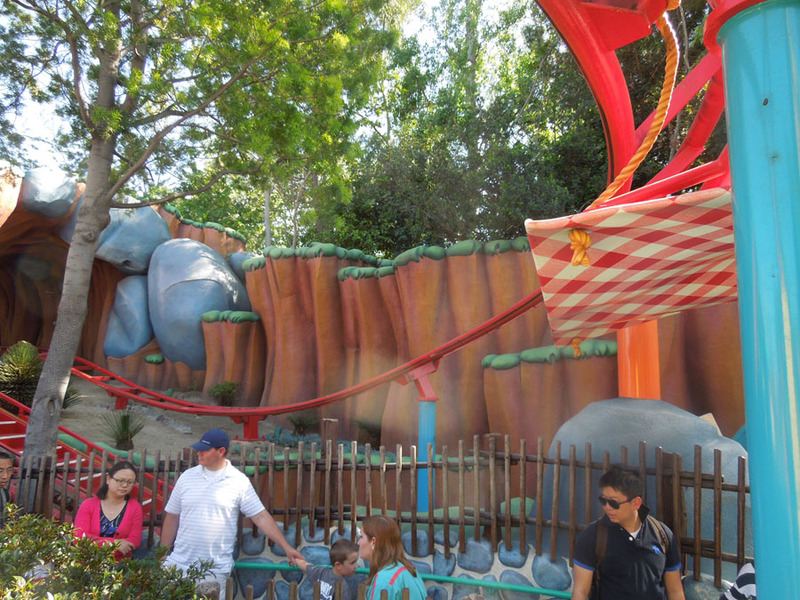 The ride is named after Gadget Hackwrench, one of the chipmunk detectives from Chip and Dale's Rescue Rangers. She's an accomplished inventor, and the Go Coaster is fashioned to look like a giant version of a tiny coaster assembled out of found materials, such as pencils and paperclips. The roller coaster ascends this ramp to start the ride. The wait in line has a good look at the coaster tracks. 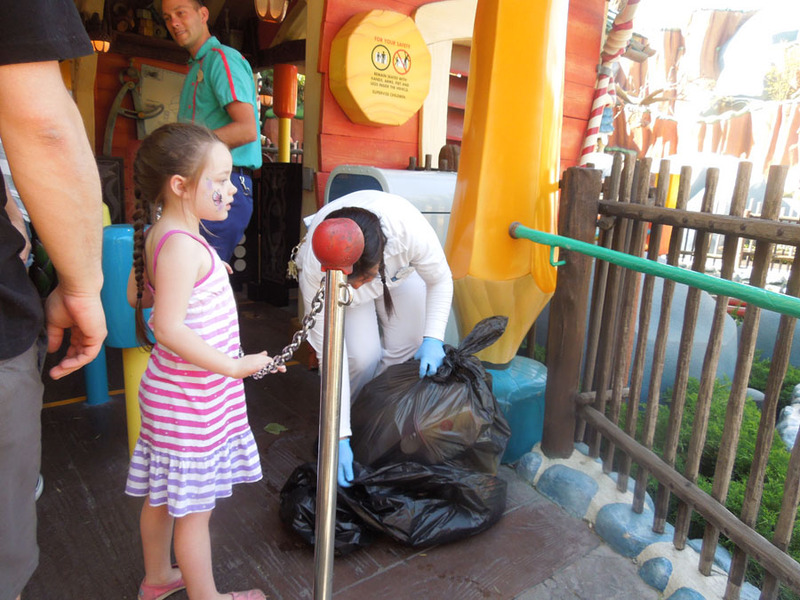 Emptying garbage cans at Gadget's Go Coaster. Note the giant pencil column. 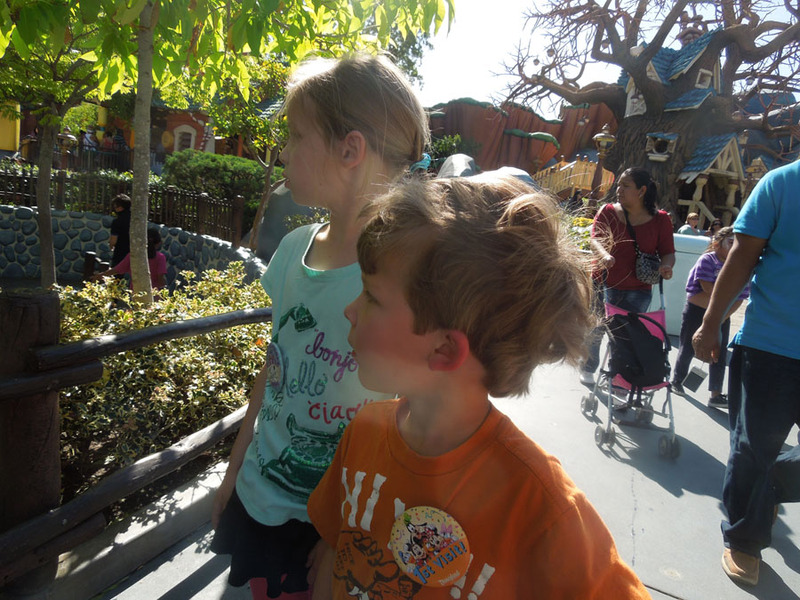 My son lost his hat on the coaster, but we had it returned in the mail a few days later. 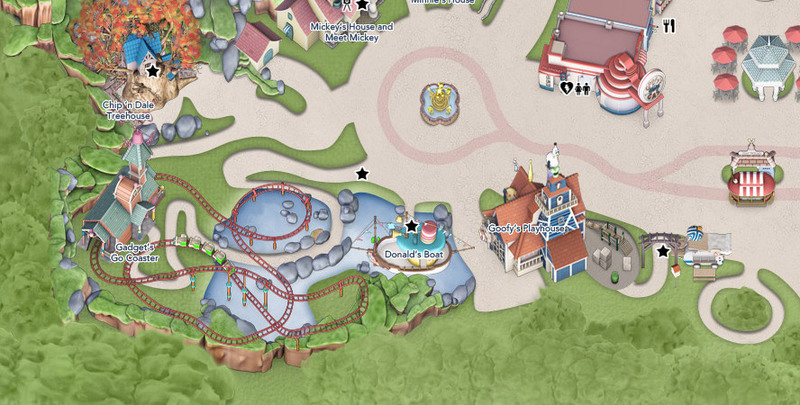 The Go Coaster lies just south of Chip and Dale's Treehouse.